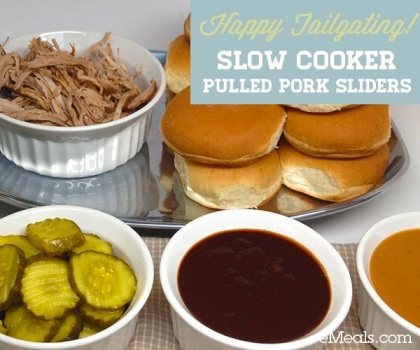 Whether you’re hosting a tailgating party at home or at the game, what could be simpler than loading up the slow cooker and letting it do the work for you? These Slow Cooker Pulled Pork Sliders from eMeals are just one of several tailgating recipes that are available right now to both current customers and new subscribers. The eMeals tailgating menu serves 8 to 12 and offers six mouth-watering recipes. Combine roast, barbecue sauce, broth and vinegar in a 5- to 7-quart slow cooker. Cover and cook on Low 8 hours or until roast is very tender. Remove pork to a cutting board; shred with 2 forks. 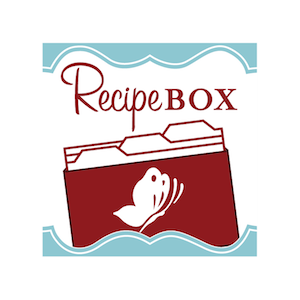 Return pork to slow cooker, and discard bones. Toss pork to coat with sauce; serve on slider buns with pickles. The eMeals Tailgating Menu and Recipes is FREE with new orders! You’ll get more great recipes like this one, so simplify your life and subscribe at emeals now! Love pulled pork! Have never made at home, but have always meant to. Also wanted to say hi because we are both attending Livewell 2013 in Chicago this October! Laura, so excited to get to meet you!